Special herbal formula invented by the famous Thai healer Dr. Attawut contains only natural components. 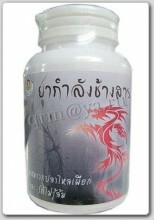 Approved by FDA and GMP in Thailand. Click the button below to add the "Kamlang Chang Sun" herbal capsules for male enhancement to your wish list.